With digital transformation at the top of the corporate agenda and technology-enabled customer engagement happening every day, CIOs may find their interactions with the corporate board of directors happening on a more frequent basis. But that doesn't necessarily mean they know the best way to do it. "Every interaction with the board is an opportunity to get fired," said Tina Nunno, a Gartner vice president and author of the book, The Wolf in CIO's Clothing: A Machiavellian Strategy for Successful IT Leadership. But boards want to hear from CIOs today as technology has become a competitive weapon and security breaches top the headlines. Nunno regularly consults with CIOs on the best approach to take when consulting with their boards of directors, and she presented a session on the topic during this month's Gartner Symposium/ITExpo in Orlando. About half of CIOs present in front of the board on quarterly basis, with the rest presenting less frequently. 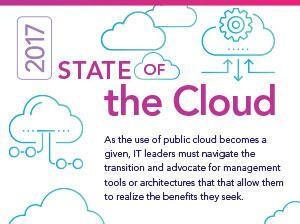 Only about 13% of CIOs say they are never in front of the board, Nunno said. But there are challenges that come with addressing the board. For instance, Nunno said, the average age of board members is 72. "These people are highly talented executives, but they are not digital natives," she said. 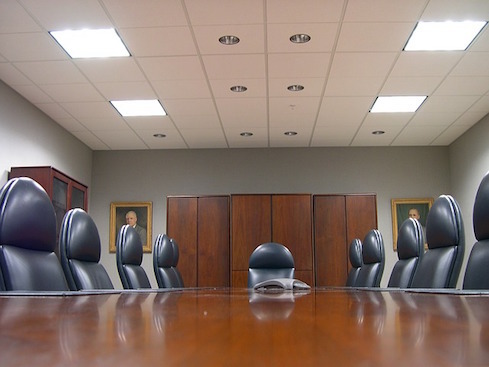 Their inexperience with technology may make the board members averse to talking to the CIO or asking many questions. Or, "They may only ask for a status. 'What is our security status,' and the CIO has to guess what the board wants to know." If you are asking the board to approve a project, you need to explain what you are requesting and why. Nunno recommends being specific in terms of requesting funding, staffing, approval of direction, or directive to staff. But you should also be aware of the timing of your request. For instance, if the company just suffered a major security breach, that's probably all the board will want to discuss. It's not a good time to ask for funding for a new initiative. Among the complaints Nunno hears from boards about CIO presentations is that the board wants more than two options to choose from rather than the CIO offering just two -- a good one and a terrible one. If you box the board in and frustrate them, you may get what you want now, but they will punish you for it later. Risk, regulatory compliance, and security. This includes infrastructure reliability, innovation, brand, and reputation. "If you only focus on these three things, it's hard to be wrong," Nunno said. Even if the board doesn't ask you these things, you should focus on them anyway. "I've had clients who create these three slides, and that becomes the focus of the whole presentation. This is where the board is most content and comfortable," Nunno said. Once you make sure your presentation includes these three things, you also need to make sure you are saying what you think you are saying and should make sure the board gets the information they want. One final great tip from Nunno is this one -- know when to get out and walk away. That means if you asked for something and got what you wanted, stop presenting. You don't need to go through the next 20 slides. Do not make your sales pitch bigger than your request. Don't sell past the close. "Trust is the absence of data," Nunno said. "If you have the trust of your board and executive team, don't challenge them with data."